I had the pleasure of photographing Emma and Troy's wedding on Thursday at The Hop Farm in Paddock Wood. 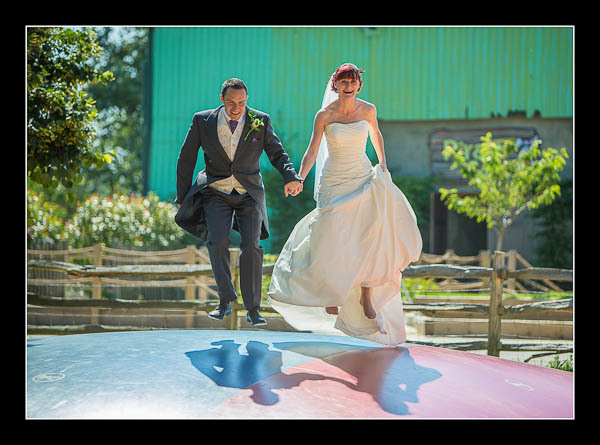 It was incredibly sunny and roasting hot but Emma and Troy were up for action - including an extended bouncing session (as captured above)! Please check out the gallery for their wedding at The Hop Farm or view this alternative non-Flash based gallery.